My work is fueled by a deep appreciation of the beauty of elegant systems. Hence I aspire to create games that deliver interactive value to players as efficiently as possible. Below you can find some of the games I worked on. If you’d like to know more, just contact me via email or Facebook! What makes it special: There is almost no randomness in the game, which brings it closer to chess than to poker. 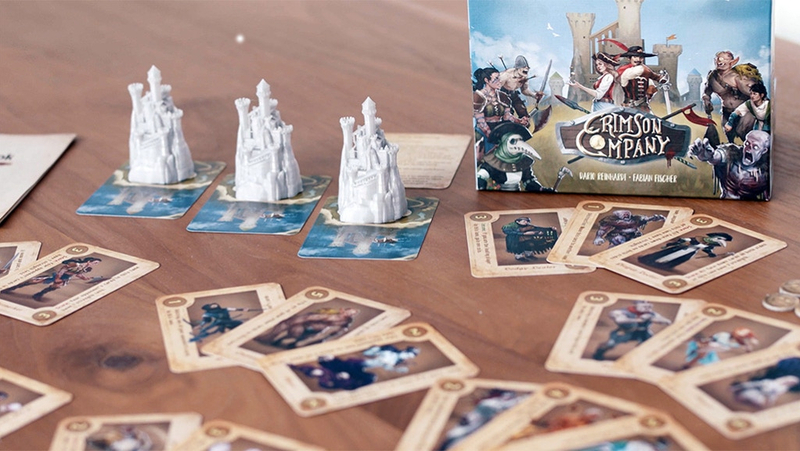 At the same time however, it retains the accessibility of modern card games. 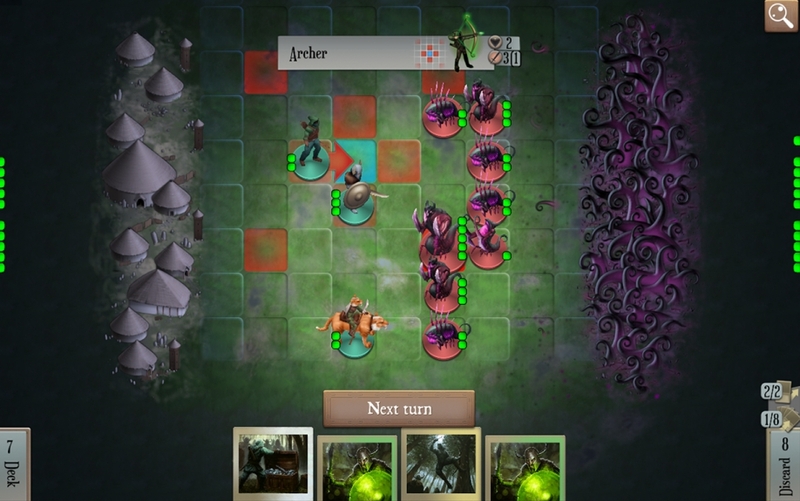 The gameplay revolves around a unique “board-drafting” mechanism: Both players compete for the same deck of cards and always play them directly onto the three-laned board, using their tactical abilities to outsmart their opponent. What I did: I envisioned and co-designed the game. As CEO, I was also involved in art direction, production and publishing, as well as managing a successful Kickstarter campaign. You can learn more about the game’s genesis on Gamasutra. 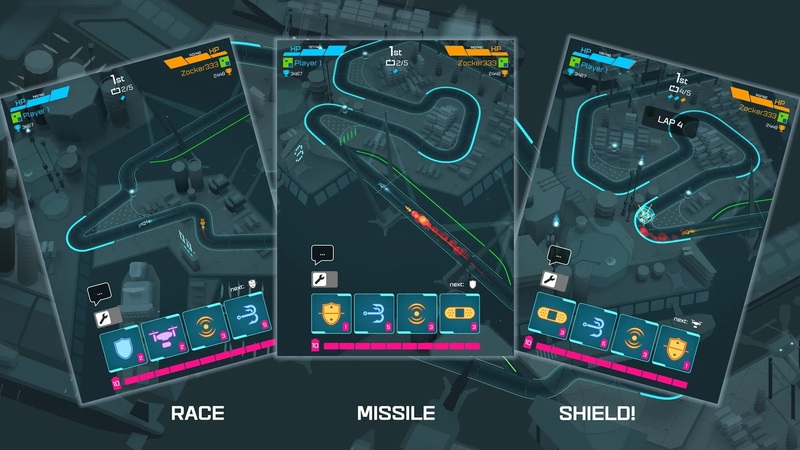 What makes it special: Instead of letting the player take direct control of a car, the game is all about making use of tactical special abilities, such as missiles, shields or mines. The interplay of timing those power-ups and managing resources between attack and defense gets very complex on higher levels of play. What I did: I was heavily involved in developing the original vision for the game, as well as designing core gameplay systems and balancing the power-up abilities. After launch, I monitored player data and supported the game’s development through several update cycles. What makes it special: The game is all about movement. 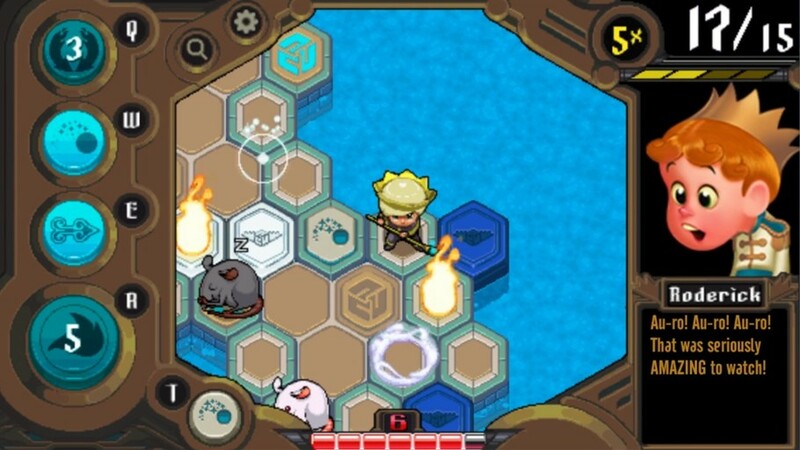 Thus the player’s only ability is to move around the arena. There are several special gadgets that have to be used in non-obvious indirect ways. 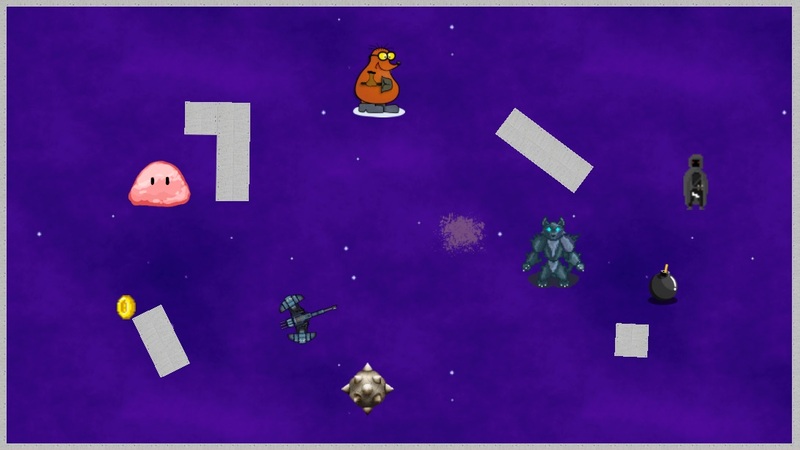 For example, players can lure turrets into shooting enemies or trigger cascades of explosions. What I did: I designed, programmed and published the game over the course of a few days in a personal game jam using the Unity game engine. What makes it special: Dozens of players work as a team (i.e. 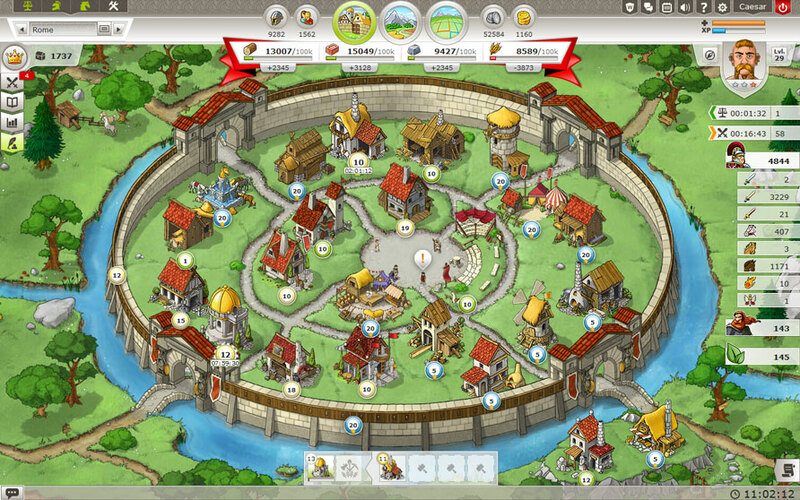 “kingdom”) and plan their strategy over several months. There’s a hierarchy within teams with players taking roles such as king, duke or governor. More high-level positions focus on communication and planning while the majority of players provide resources and troops for the cause. What I did: I joined the development during open beta when the game already had thousands of concurrent players. 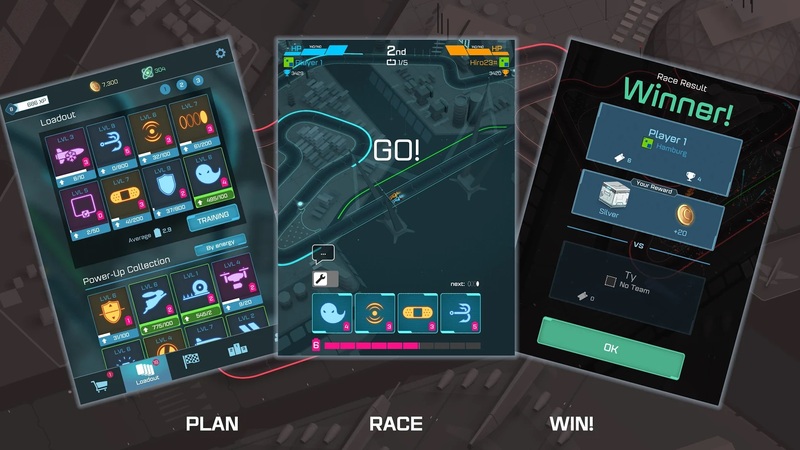 Over several iterations, I streamlined the game and designed features to improve accessibility and retention, such as achievements, daily quests and an in-game help system. I was also responsible for most of the design-related communication with players through forums and blog posts. 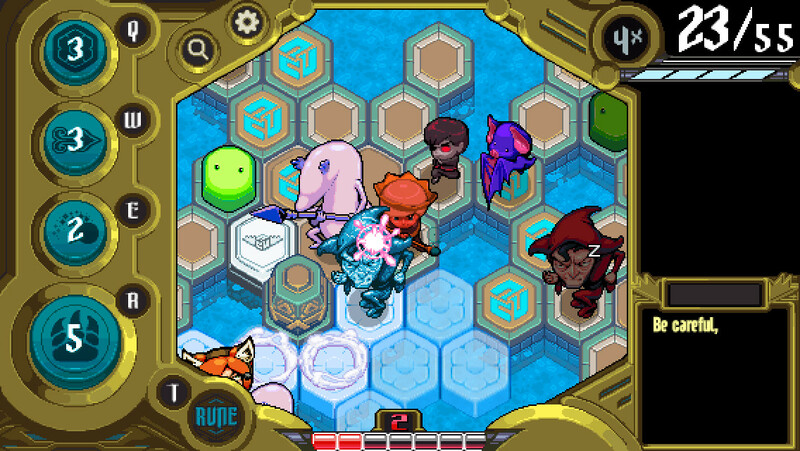 What makes it special: The game’s design revolves around a single core mechanism: “bumping”, i.e. pushing enemies back. Every verb in the game is tightly connected to this core. This makes the game immensely elegant since there is a lot of depth to the positioning given a fairly small number of rules. 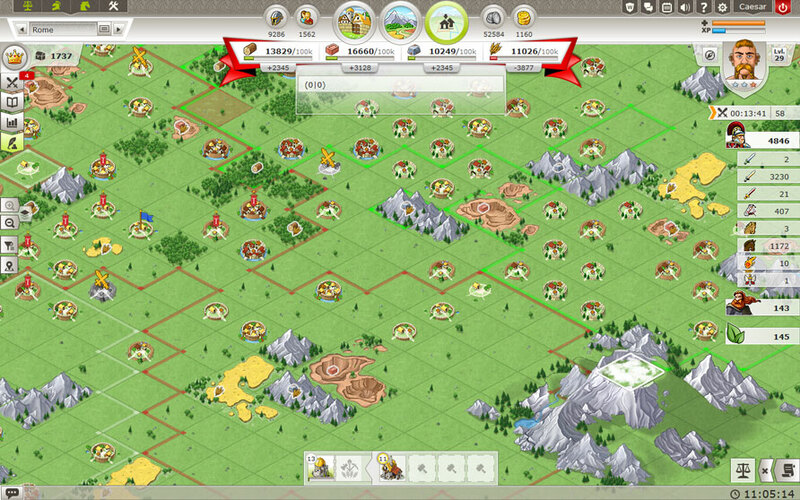 What makes it special: The game heavily streamlines the 4X formula and adds an element of dwindling resources. 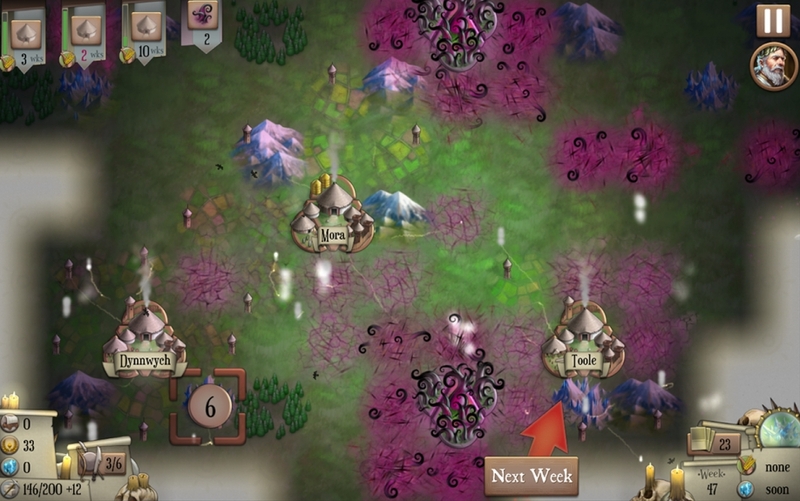 This means the player has to constantly be on the move and explore the world map for new opportunities. 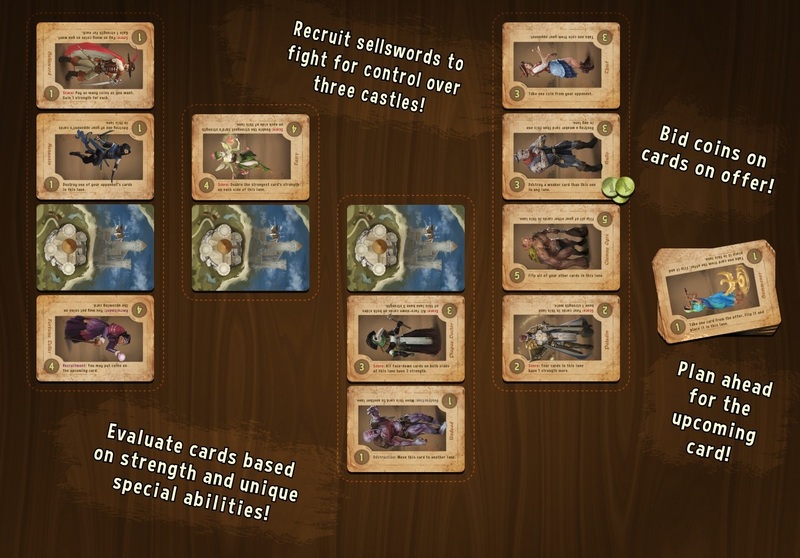 Combat is card-based and the main progression system is a deck-building metagame. What I did: I was one of the game’s testers throughout its beta phase. My tasks involved finding and tracking bugs, as well as giving feedback on matters of gameplay, user experience, interface design and balancing. 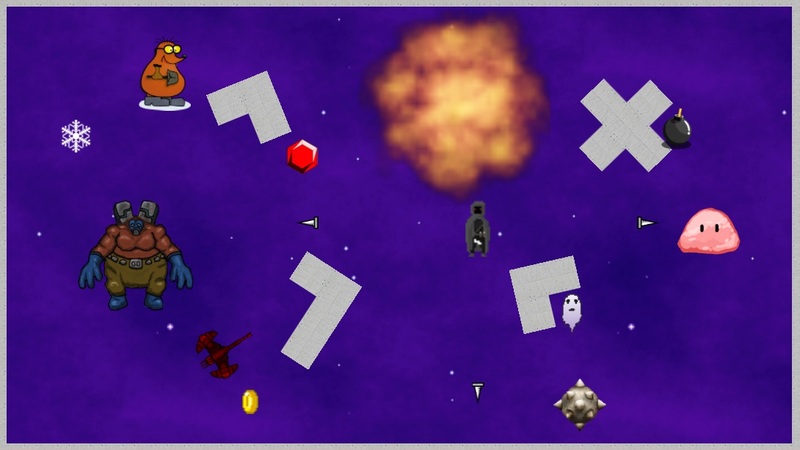 Over the years, I designed and programmed various prototypes to explore gameplay concepts and bring specific aspects of game design theory to life. This proved invaluable in refining my design philosophy.